With over 30 years of combined experience, the lawyers at Vernier & Associates PLLC of The Woodlands, Texas, are dedicated to offering zealous, full-service representation in family law cases. When it comes to your family and legal issues, you need experienced, competent attorneys possessing a keen awareness of your sensitive situation. With a high level of integrity and passion, Ruth Lavada Vernier approach each case with a thorough understanding of family law. Our lawyers are people oriented, giving special attention to the complexities within your case. Our family law firm, serving the cities of The Woodlands, Houston, spring, Conroe and across the state, is staffed with some of the most experienced paralegals in the state that are very familiar with family law matters. We also feature a network of highly skilled accountants, appraisers, investigators and mental health professionals. We are well versed in the intricacies involving all aspects of the law affecting families, including high net worth divorce, divorce involving professional practices and family businesses, child custody and visitation, child support, complex property division, pension plans, IRAs, 401(k) plans, alimony and spousal support, pre- and post-nuptial agreements, marital torts, family violence and protective orders, grandparents' rights, paternity and parent-child relationship, termination of parental rights, adoption and mediation. Vernier & Associates PLLC is also one of the few law firms containing the experience and knowledge needed to handle cases involving the Hague Convention on international child abduction. Ruth Lavada Vernier was listed in the Top Family Lawyers in H Texas Magazine in 2006, 2007, 2008, 2010 and 2011. 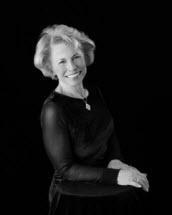 Additionally, Ruth Lavada Vernier is a certified mediator and negotiator. Please call 281-882-3271 for more information. We have a 24-hour live answering service and we make appointments upon request. We also offer translation services and we accept all major credit cards. We approach a divorce proceeding with the goal of not just protecting our client's rights, but of also helping him or her complete the divorce process emotionally stronger. We strive to guide our clients to a legally and emotionally secure future. We understand that our role is to be your trusted advisor on all matters related to the building of a better future. As highly experienced child custody and visitation lawyers, we will help you move forward and pursue your goals. Our lawyers understand the law of child support in Texas. We provide expert counsel and effective advocacy in any child support matter, from setting an appropriate child support amount, to enforcing a child support obligation. Marriage creates a marital estate which must be divided upon divorce. Some marital estates can become quite complex to divide. We have the resources needed to value and divide complex estates. Texas courts will not order alimony; but will, in certain situations, award "post-divorce maintenance." Also, post-divorce maintenance can be arranged contractually. If you have questions regarding either type of support, we have the answers.